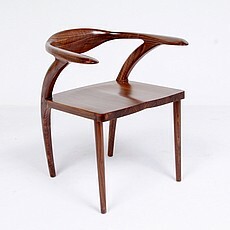 Born in 1914, Hans Jorgen Wegner learned woodworking as a boy, the son of a cobbler, in Tondern, in southern Denmark. 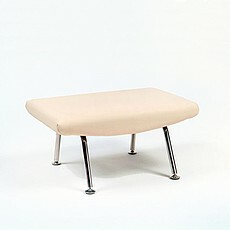 He was studying design in Copenhagen in 1938 when Mr. Jacobsen and Erik Moller to design furniture for the town hall they were creating in Aarhus, Denmark hired him. 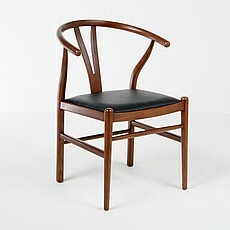 Mr. Wegner (pronounced VEG-ner in English and VAY-ner in Danish) was one of a small group of Danish furniture designers whose elegant but comfortable creations made Danish Modern all the rage among cosmopolitan Americans of the ’50s and ’60s. 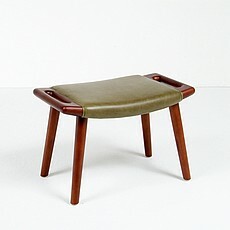 His Danish Modern furniture — most famously his chairs — helped change the course of design history in the 1950s and ’60s by sanding modernism’s sharp edges and giving aesthetes a comfortable seat. 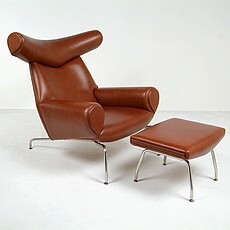 "He was one of what I think of as the humble giants of 20th-century design, those men who would probably shun the term designer and prefer to call themselves cabinetmakers,” said Paola Antonelli, the curator of architecture and design at the Museum of Modern Art in New York, where many of Mr. Wegner’s chairs are not only on display but in use, in the museum’s several restaurants. 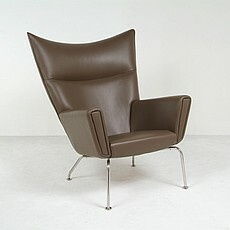 Mr. Wegner rose to international prominence as one of a handful of Danes who seized the design world’s attention with a fresh aesthetic of sculptural and organic modern furniture. 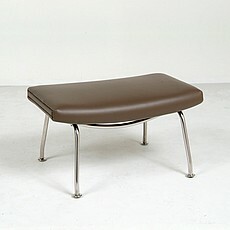 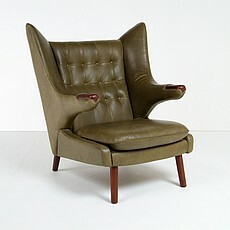 Others were Arne Jacobsen, Finn Juhl, Borge Mogensen and Poul Kjaerholm. 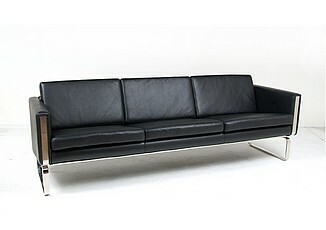 Their works, often made in warm blond wood, domesticated the cold chrome shine of the Bauhaus-influenced International style. 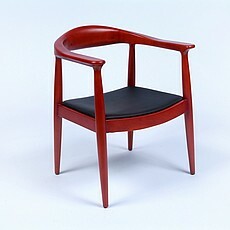 In the process, they found a way to dovetail the words "Danish” and "modern” for the first time, joining cabinetmaker-guild traditions of high craftsmanship, quality and comfort with modernist principles of simplicity and graphic beauty. 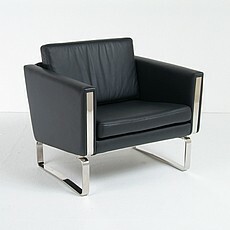 Dimensions (in): 59w x 31d x 30h; Seat Interior: 51.5w x 20d; Seat Height: 17h. 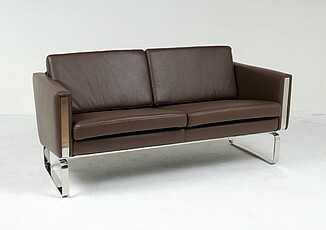 Dimensions (in): 85.5w x 31d x 30h; Seat Interior: 82.5w x 20d; Seat Height: 17h.